Despite its importance in our lives, technology is still frequently frustrating, dehumanising, or just plain boring. So while our everyday life is saturated with technology, our relationship to it is still very far from perfect. In the Internet of Things era, we will be surrounded by even more technology. What could a stronger focus on enjoyment, creativity and engagement – for all – bring? I will present some of the tactics, methods and insights gained from the work in the Mobile Life centre. We frame our work as doing serious research on what we might normally portray as “unserious” activities. Our work is interdisciplinary, design-led, based on detailed ethnographic studies, often in collaboration with experts in a varied set of fields – such as fashion studies, fine art, opera, medical science, street performance, TV-production or somaesthetic practices. We get inspired by doing studies on people’s mundane leisure and creative activities such as horseback riding, hunting, parkour, dancing or live-action role-playing. We use those insights to spur innovative design processes, resulting in mobile applications, sensor-based applications, pervasive games, new mobile media, technical platforms and materials to support amateurs’ creativity. In this talk, I will give an overview of some of the research done, focusing in particular on how we see Internet of Things as a design material, ways of exploring aesthetics, the role of the materials in our design processes and how to articulate design knowledge. Kristina Höök is a professor in Interaction Design at the Royal Institute of Technology and also works part-time at SICS (Swedish Institute of Computer Science). She is the director of the Mobile Life centre. Höök has published numerous journal papers, books and book chapters, and conference papers in highly renowned venues. A frequent keynote speaker, she is known for her work on social navigation, seamfulness, mobile services, affective interaction and lately, designing for bodily engagement in interaction through somaesthetics. Her competence lies mainly in interaction design and user studies helping to form design. She has obtained numerous national and international grants, awards, and fellowships including the Cor Baayen Fellowship by ERCIM (European Research Consortium for Informatics and Mathematics), the INGVAR award and she is an ACM Distinguished Scientist. She has been listed as one of the 50 most influential IT-women in Sweden every year since 2008. 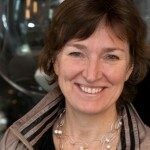 She is an elected member of Royal Swedish Academy of Engineering Sciences (IVA). I will talk about my experiences with deployment based ‘research-in-the-wild’ projects that utilize situated public displays to facilitate community interaction. Longitudinal deployments have taken the form of technology probes and examples include the Hermes office door display system and the Wray Photo Displays. The latter, has involved working the rural village of Wray and the placement of public displays in various community locations such as the village post office, community hall and village pub. The system enables village residents to upload images (typically photos relating to the village’s cultural heritage) and associated comments for viewing by fellow residents and visitors. Residents of the village have helped shape the system through involvement in co-design workshops and other feedback mechanisms such as a simple (but accessible) comments book placed next to displays. A key motivation has been to provide the community with a sense of ownership over the deployment and associated content and this has impacted upon, for example, the approach to content moderation that is carried out by members of the village rather than the university. The first deployment took place in 2006 and since this time there have been gaps in research funding which have led to challenges in maintaining relationships with the village and associated ethical/hand-over/exit strategy issues (as discussed in ). The current research focus (carried out under the EPSRC funded SHARC project) is on developing tools that enable residents to share their village stories and memories as locative media experiences. 1. Taylor, N., Cheverst, K., Wright, P. and Olivier, P. (2013). Leaving the wild: lessons from community technology handovers. Proc. CHI 2013, ACM, 1549–1558, doi:10.1145/2470654.2466206. 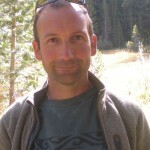 Dr Keith Cheverst is currently a Reader in HCI at Lancaster University where he obtained his PhD in 1999. Keith has also held the position of visiting scientist at Newcastle University’s Culture Lab, at Microsoft Research, Cambridge (working with the Socio-Digital systems group), and at the University of Melbourne (Department of Computing and Information Systems). Keith’s primary research focus is in exploring the obdurate problems associated with the user-centered design of interactive systems in complex or semi-wild settings and the deployment and longitudinal study of these systems in order to gain insights into issues of user adoption and appropriation. He is particularly interested in the design interactive systems that facilitate sense of community and that comprise context-aware mobile and/or ubicomp technologies.